Howdy partners! 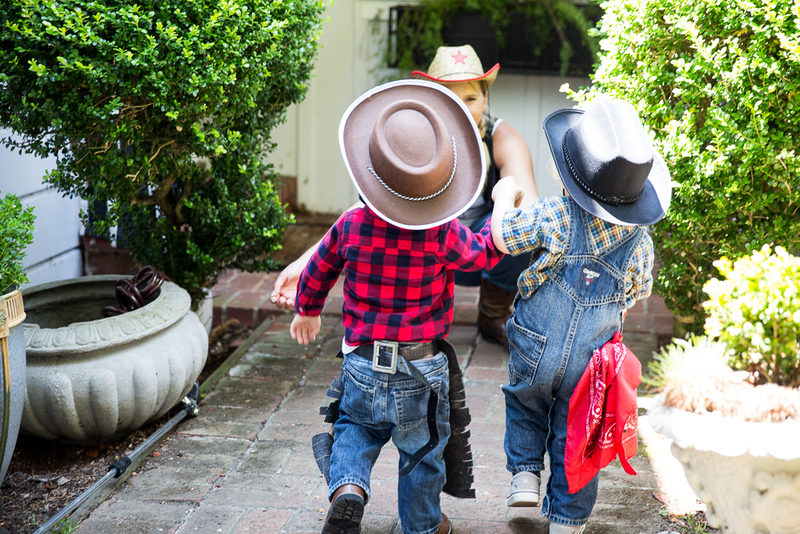 Yes, it is cliché but also the seemingly perfect way to step onto the world stage of blogging with this post about throwing a Dude Ranch Birthday Party for my 2 year old son. 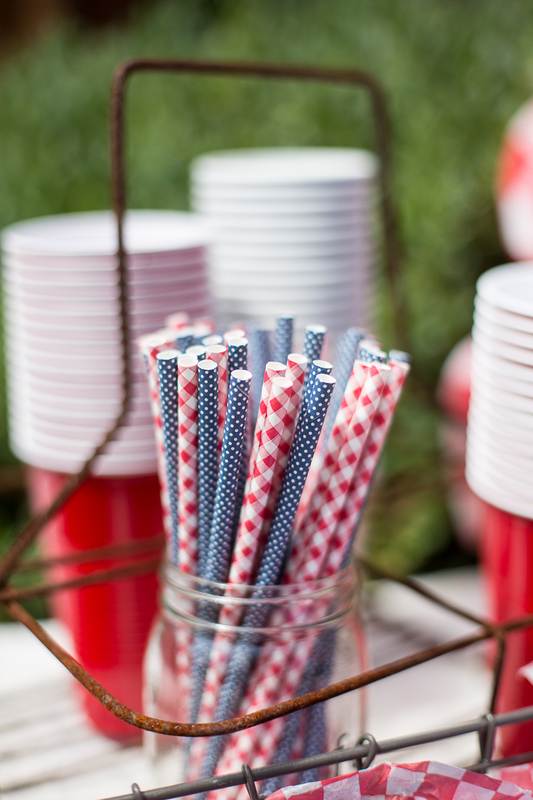 From the invites to the décor to the food, it was all achieved on a creative budget (other than the petting zoo - that's one area skimping is not a good idea!). Cowboy gear for kids and adults alike! A watering hole for adults. A DIY rope sign (so simple!). Follow the instructions available at Love Grows Wild (http://lovegrowswild.com/2013/08/how-to-make-rope-letters/). I used hemp rope because that is what I had laying around. DIY Wanted Signs featuring the birthday boy. Template available at Martha Stewart (http://www.marthastewart.com/271584/cowboy-cutouts). I printed the template onto four 8x11 sheets. A Dude Ranch would not be complete without a petting zoo. A photo booth for extra fun! A few hay bales, rope signs, bandanas, and a Wanted Sign, set the scene. The photo backdrop was made from drop cloth that I picked up at Home Depot; simply paint red stripes, and there you have it. The wanted sign was cut from an old piece of plywood I had laying around the house. We burned it with a creme brulee torch to give it an aged look and stenciled the words. I picked up some bandana fabric from our local discount fabric store to create the bunting flag as well as handkerchiefs for the party goers. I left the edges raw, and we had no problems with fraying. The cowboy grub was easy, cheap and could be made a day before (for the most part). Every party needs games! We created three games that were in line with the western theme. 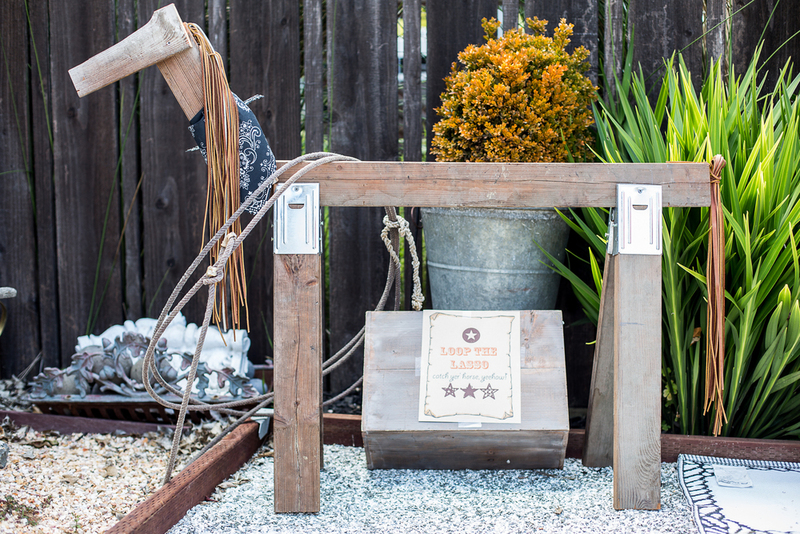 Lasso the sawhorse! We made the sawhorse from some 2x4s laying around the house. For hair and the tail, we added some leather scraps that I picked up from Jo-Anne's. Tin Can Shoot-Out. A great way to reuse those cans from the Cowboy Beans! I found the gun at the Dollar Store, but it didn't have the "oomph" necessary to shoot from a gaming distance. Next time, I would splurge for a Nerf gun. Gold Rush (dig for gold!). I picked up some kiddie sand at Home Depot, poured it into a container along with some plastic gold coins and dollar signs. The kids had a blast sifting through the sand for treasures. I firmly believe that invites set the mood for the party, and, being that I'm a self-confessed paperaholic, I take my invites seriously. I created the invites from vintage graphics and fonts available for free at The Graphics Fairy http://thegraphicsfairy.com/. Picked up some brown paper at the Paper Source, wrapped them in bandanas, and placed them in Dollar Store envelopes stamped with an "R" for Remy. I used the extra paper to create theme-consistent signs for the party.